Beans are part of the legume family, which also includes peas and lentils. While there are many different types of beans, they are all highly nutritious. Beans are a low-fat, cholesterol-free food, rich in many minerals including folic acid, iron, potassium and magnesium. They are high in fiber and protein as well. Some types of beans have more protein than others, but beans for the most part are considered a high-protein food. 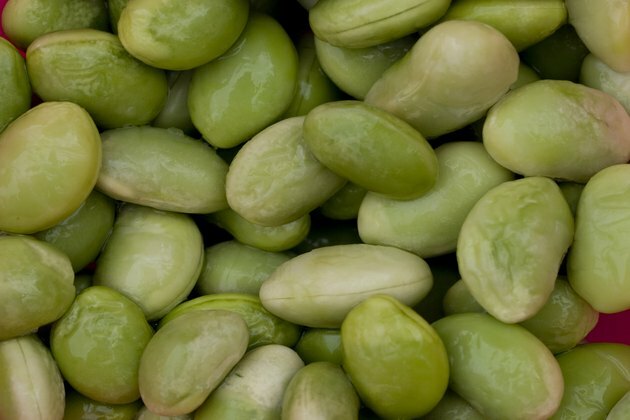 Soybeans contain high amounts of protein in both the mature yellow variety and the green soybeans, also known as edamame. 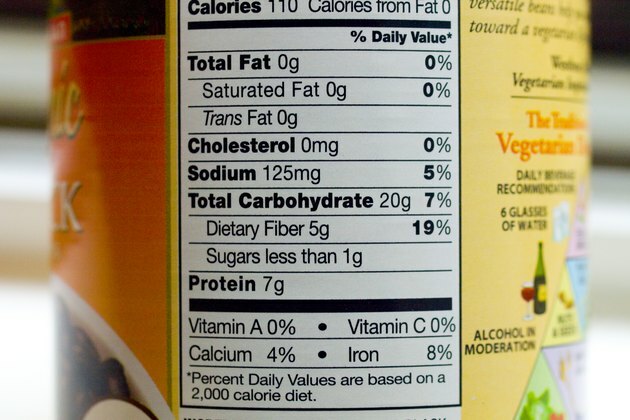 Yellow soybeans contain a protein content of 14.3 grams for every ½-cup serving. Edamame has slightly less at 22.2 grams in every cup. The protein contained in soybeans is considered a complete protein, meaning it contains all the essential amino acids that our bodies need. Navy beans were named after the branch of the military that used them as a large part of their food supply in the early 20th century. Navy beans contain 15.8 grams of protein in a one-cup serving. They also contain large amounts of fiber, iron, copper, manganese and vitamin B1. Navy beans may be purchased dried and should be soaked for best cooking results. Black beans are often served as a side dish alongside Mexican inspired dishes such as tacos and quesadillas. 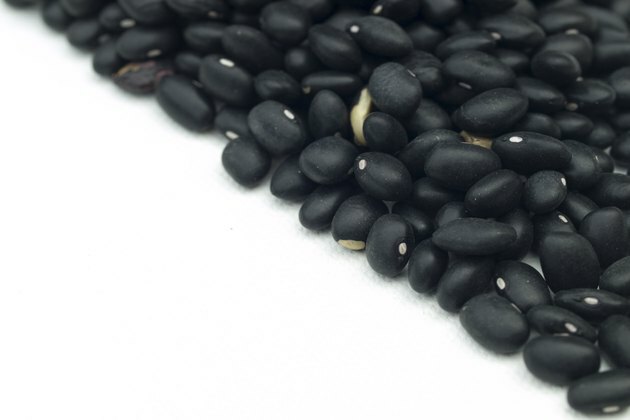 One cup of black beans provides 15.2 grams of protein, almost 1/3 of the recommended daily allowance of protein. Black beans are also a good source of antioxidants. 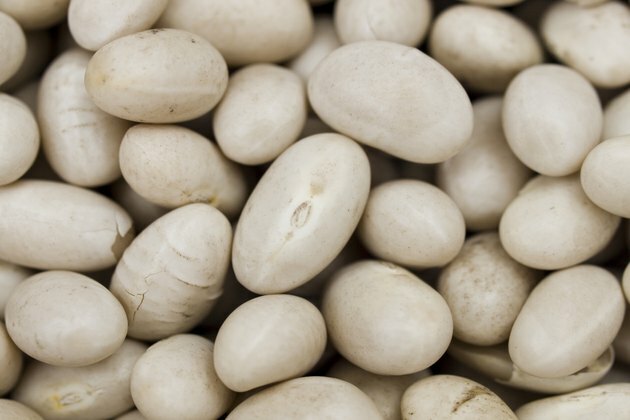 Pinto beans are a very popular variety of bean that can be purchased canned or dried. They're also popular mashed with the addition of spices and some fat. 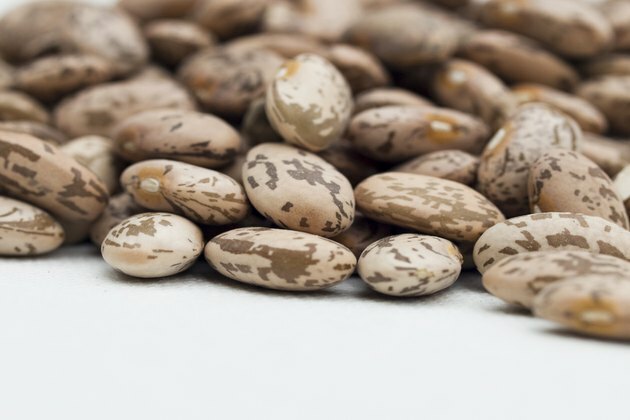 The protein content of one cup of pinto beans is 14 grams. They also contain a mineral known as molybdenum which helps to detoxify sulfites. Sulfites are a type of preservative to which some people are sensitive. Reactions to sulfite sensitivity include a headache and rapid heartbeat. If levels of molybdenum in the body are low, it is easier to have a reaction to sulfites. Eating pinto beans can help prevent this type of reaction.